With New York portable shower rentals by CALLAHEAD, you can experience the joys of a hot, refreshing shower easily wherever and whenever you need it. The SHOWERHEAD 16 runs off of a basic 3A, 240-V power supply, which makes it simple to hook up anywhere, making it convenient for construction site. 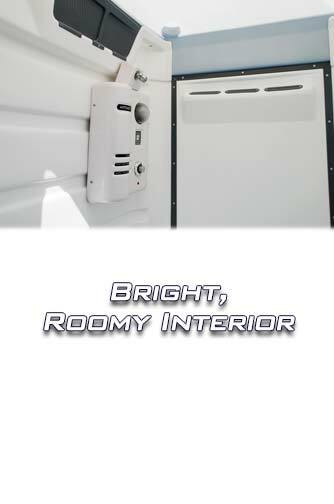 It is also available in a 110-Volt model so that it can meet all of your outdoor portable shower rentals in New York and the ideal temporary outdoor shower for emergency situations or disaster locations. The SHOWERHEAD 16 will provide plenty of light with its 25-watt light bulb so you can even use this temporary outdoor shower at night. The SHOWERHEAD 16 hot water portable shower has a 2.4-litre capacity tank, to provide plenty of fresh water. However, if you require more water, the unit easily connects to a basic garden hose, a CALLAHEAD fresh water holding tank, or can even be used with sea water. 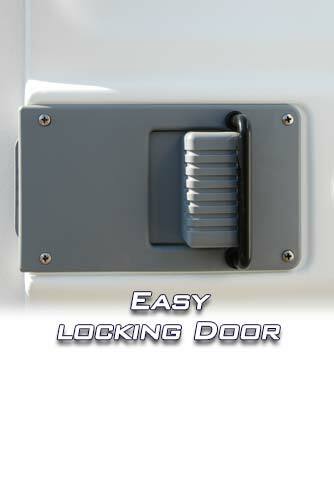 There is absolutely no better option for an outdoor portable shower rental in New York than the SHOWERHEAD 16. 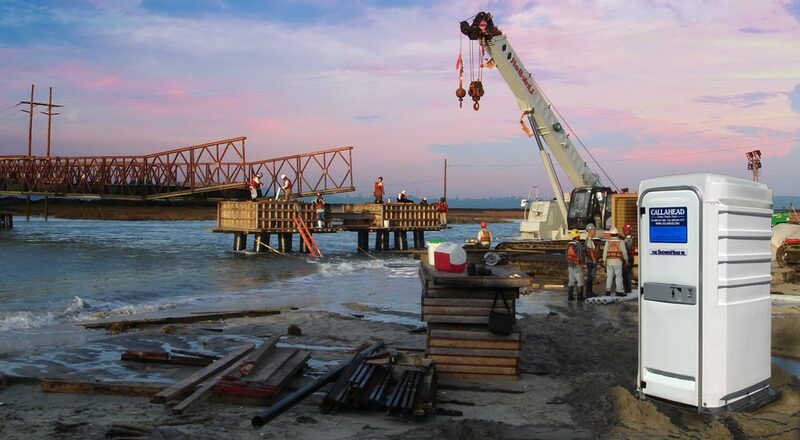 Imagine how great you will feel after getting a hot shower at the end of the day at the construction job site. With the CALLAHEAD SHOWERHEAD 16 portable shower, a private, refreshing shower can be taken anywhere. 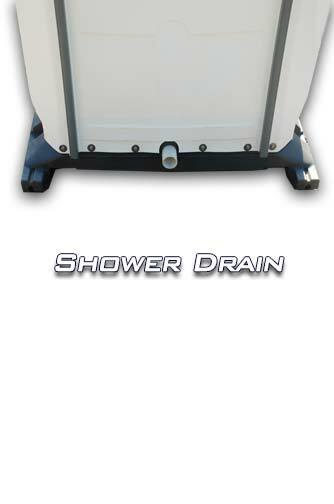 Have the SHOWERHEAD 16 delivered to the jobsite, beach, marathon, camp grounds, bathroom remodeling job, or your backyard. 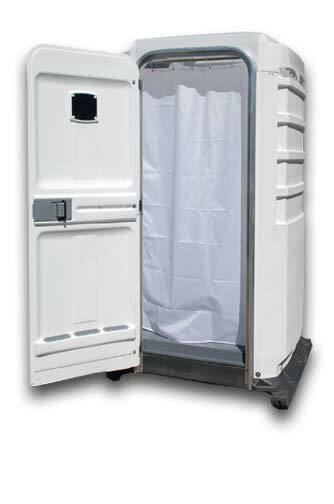 In emergency situations in New York, temporary portable shower rentals can provide victims and emergency responders with the cleansing they need as well as a fresh attitude to tackle times of crisis. It is amazing the impact a portable shower can provide to those in disaster locations. Each hot water portable shower in New York City is delivered fully stocked with full soap and shampoo dispensers. The SHOWERHEAD 16 supplies both hot and cold water so users can adjust the water temperature to their own personal comfort level. It is the ideal portable shower for construction workers to scrub away any hazardous materials they come in contact with on the job site such as paints and cements. These materials can cause serious skin irritations and dermatitis without proper washing. 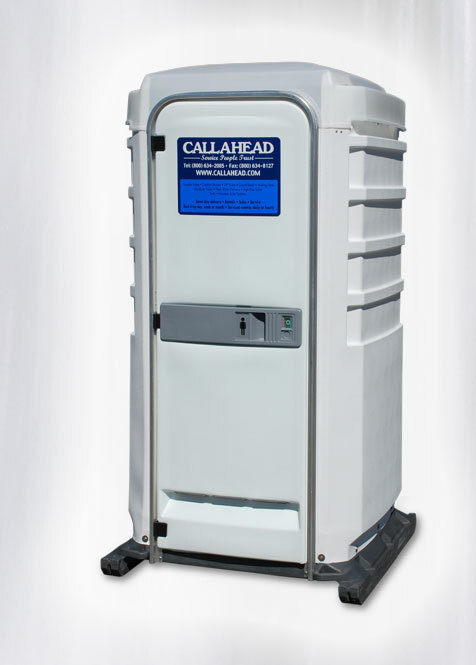 CALLAHEAD's outdoor portable shower rental will allow workers to take a hot shower to remove these hazardous materials from the skin. 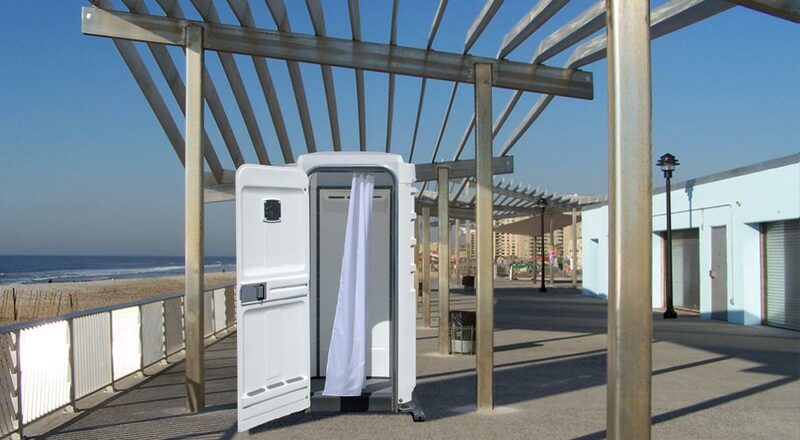 Each outdoor portable shower rental in New York is delivered in brand new condition and sanitized with only hospital grade disinfectants for your protection. Since the SHOWERHEAD 16 is constructed with a white aesthetic, there is nowhere for the dirt to hide. 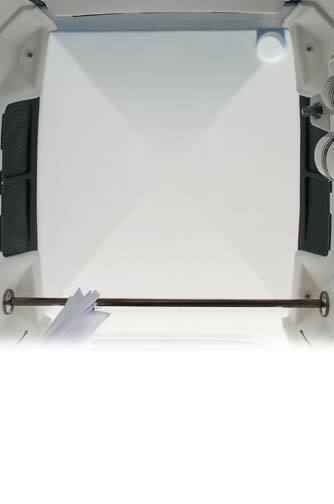 Not only will you feel that the SHOWERHEAD 16 portable shower is clean, you can see it! You can rest easy knowing that you are getting a clean, sanitary portable shower rental in New York at the highest level of cleanliness with the SHOWERHEAD 16. When you enter the SHOWERHEAD 16, you will be transported to a fully functioning shower that can be found in a high-end gym or country club. 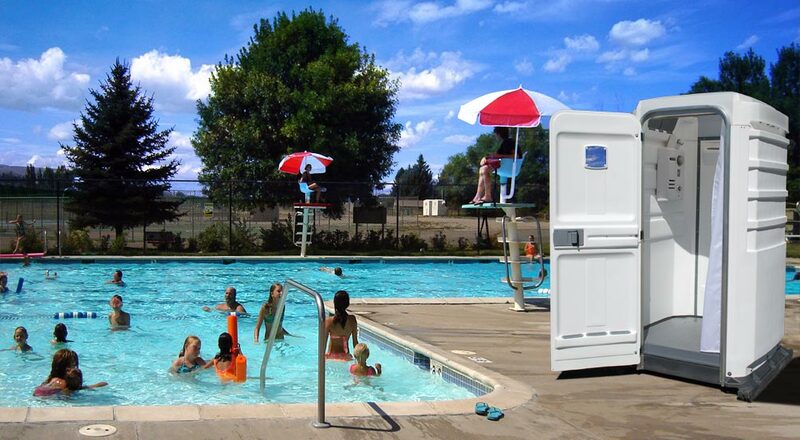 With CALLAHEAD's outdoor portable shower rentals in New York, we will deliver this luxury wherever you desire. The SHOWERHEAD 16 provides a completely private showering experience that allows for plenty of room for both showering and changing. Even at the jobsite, construction workers will have plenty of space to store bulky clothes. 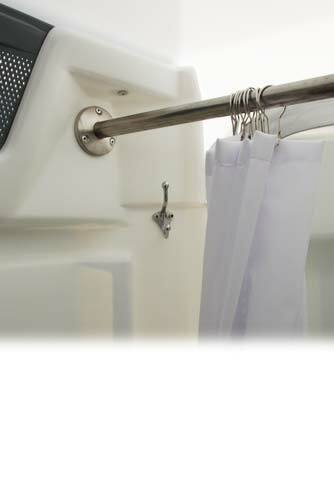 The included shower curtain and clothes bag will keep everything dry while you shower. 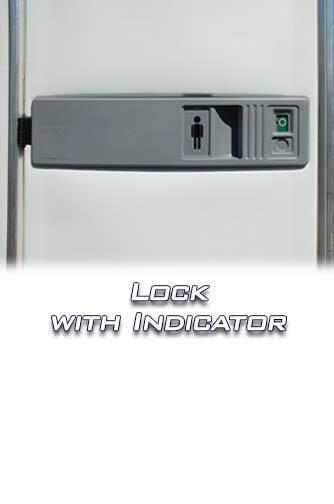 The front door locks and an outside occupancy indicator guarantees privacy. The SHOWERHEAD 16 temporary portable shower has a grated floor with a slip-resistant surface and allows for the water to drain easily out of its two-inch drainage port. When you rent a CALLAHEAD hot water temporary portable shower in New York, you can be confident you'll have hot water for the entire duration of your shower to give you plenty of time to remove dirt, sweat, grease and paint. Since the SHOWERHEAD 16 is equipped with a thermostatic mixer valve you will never lose the warm water temperature. 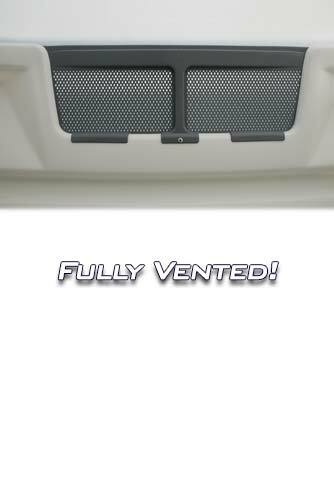 You don't have to worry about it getting too hot either, because it also includes RCD protected plus overheat protection. 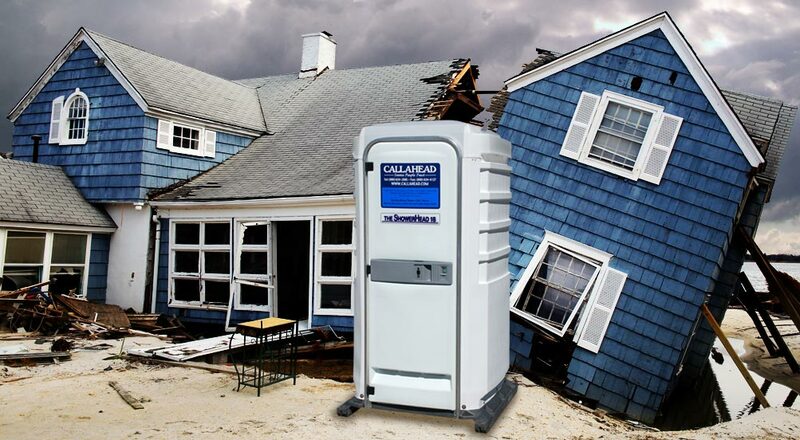 At CALLAHEAD, we have been providing New York City's five boroughs of Manhattan, Bronx, Queens, Brooklyn and Staten Island, including all of Westchester County and Nassau and Suffolk Counties on Long Island, with their portable toilet, restroom trailer and portable sink needs for nearly four decades. 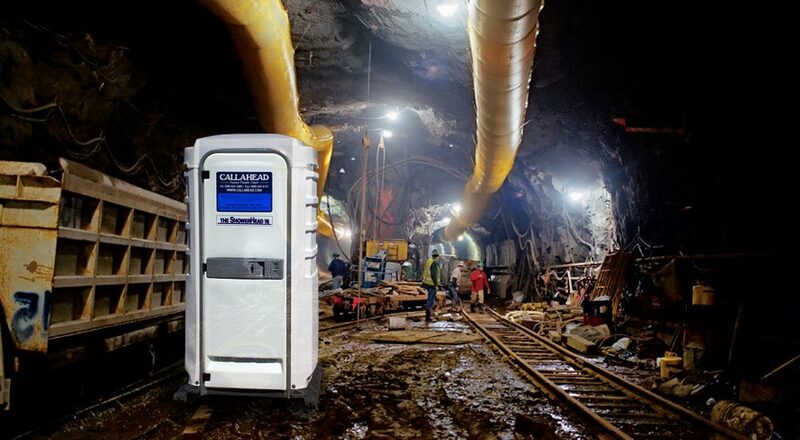 CALLAHEAD's high level of service is standard with all of our New York portable shower rentals. 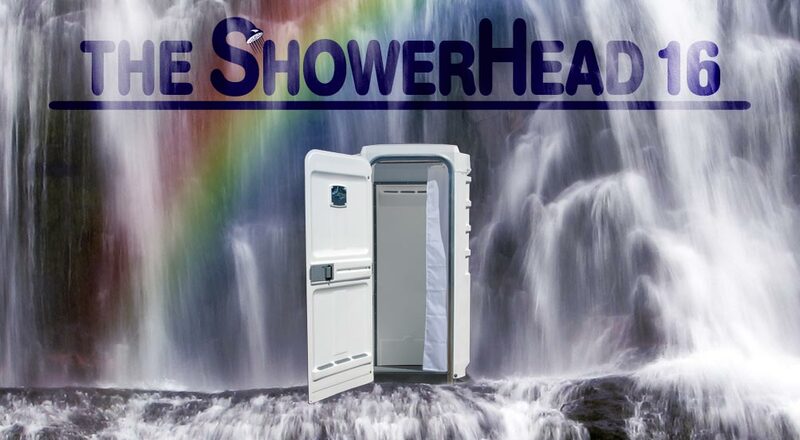 With the SHOWERHEAD 16 temporary outdoor portable shower rental, you'll receive the same level of service and quality that you have come to know and love.